As a ‘patriotic Ugandan’, I must confess I was one of those who was not happy with the unkind words of Ntungamo Municipality Member of Parliament Gerald Karuhanga against his Mawogola County counterpart, foreign affairs minister Sam Kahamba Kutesa, to wit that the latter is so corrupt he would even sell chairs belonging the United Nations if allowed to serve as the 69th President of the United Nations General Assembly (UNGA) for one year. Hon Karuhanga made the comments in the wake of accusations by the US Department of Justice (DoJ) against Kutesa, imputing that while he served as UNGA President, beginning September 2014-September 2015, he used ‘the corridors’ of the world body to procure a US$500,000 bribe from Energy Company through a one Chi Ping Patrick Ho, which money, according to the US investigators led by FBI Special Agent Thomas McNulty, he was to allegedly use to partly finance President Yoweri Museveni’s re-election campaign in 2016. Of course, I was disturbed by Hon Karuhanga’s assertions but took a breather, asking myself why Kutesa’s name has occasionally popped up in corruption/bribery allegations for a long time now since he became a Minister in 16 years ago. I wondered: ‘could it be that Kutesa is being witch-hunted by people who loathe his prowess both locally (like Gerald Karuhanga?) and internationally?’ ‘And if yes, then why?’ The more I pondered over those questions, the answers were and are still difficult to fathom. 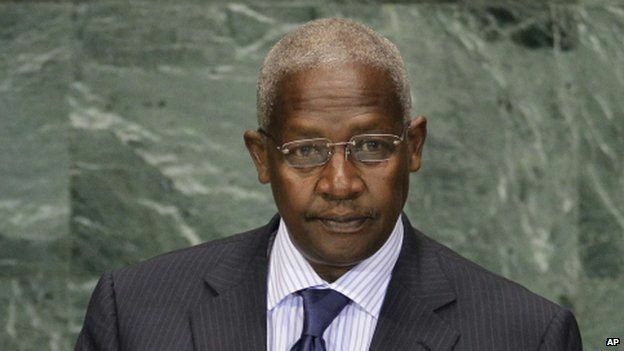 Nonetheless, that has not stopped so many other Ugandans from branding Kutesa as a ‘corrupt person’ and linking his ‘corrupt tendencies’ to the State partly because of his familial ties to President Museveni, whose son Major General Muhoozi Kainerugaba married Kutesa’s daughter Charlotte, and also because his deceased wife Jennifer Nankunda Kutesa was related to President Museveni’s wife Janet Kataha Museveni. That said, because of the obscure lines that put a blur on how African governments are run, it becomes a bit difficult for foreign investigators like FBI’s Thomas McNulty to delink the actions of a very influential individual like Kutesa from the State, a situation that is further compounded by the dictates of ‘collective responsibility’. This has now made Kutesa’s criminal complaint lodged by the DoJ a puzzle of labyrinth-like proportions that has now, according to the US investigators, also drawn in some of the First Family members (whose names are not mentioned) and Kutesa’s current wife Edith Gasana, a high-flying and eloquent Economist-turned-Diplomat, who once represented Rwanda at the African Development Bank. 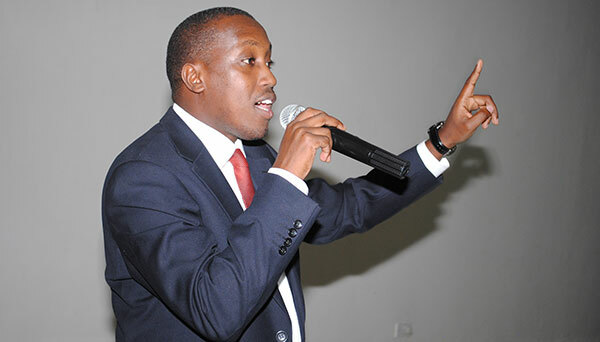 As a lawyer and Uganda’s top diplomat, Kutesa should be conversant with a thing or two about how US investigative agencies like the DoJ, the Federal Bureau of Investigations (FBI) and the Department of Homeland Security (DHS) carry out their investigations and, the consequences if one is found to have breached the US laws. In effect, Kutesa may also have to contend with the monstrous effects of a super power like the US running after a minister from a country like Uganda that is accorded little recognition in respect to its accountability credentials on the global scene. 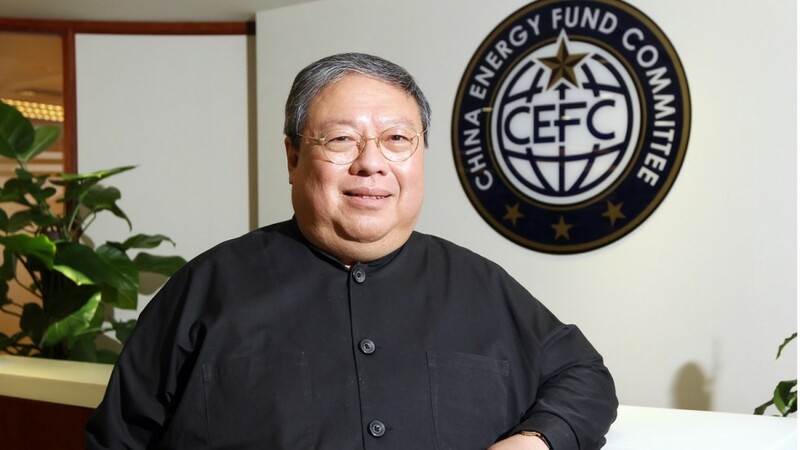 Against such a background therefore, and given the damning details of the US criminal complaint, Kutesa may find it difficult to navigate the terrain, more so given the fact that his wife’s name has now also been linked to Mr. Patrick Ho, the Energy Company and State House, with allegations that Mrs Kutesa oversaw the process that eventually saw the Chinese team associated with the US$500,000 bribe, allegedly attend Mr Museveni’s swearing-in ceremony on May 12, 2016. And, presenting a number of correspondences between Mrs. Kutesa and the Chinese team from Energy Company, the US investigators led by Thomas McNulty say the said ‘campaign money’ was delivered at around the same time President Museveni swore-in, making it impossible for the funds to have been used during the campaigns, as had earlier been indicated. Further, according to McNulty, he even failed to locate the local offices of Energy Security and Food Security, the Ugandan charity organization linked to Minister Kutesa that was, according to correspondences between Mrs Kutesa and the Chinese, supposed to channel the money to the beneficiaries, ostensibly in the Minister’s constituency of Mawogola. As a young boy studying at Busoga College Mwiri, I chanced on a Hansard (records of Parliamentary proceedings) which contained information about Uganda’s ‘first corruption case’. The allegation was made against a certain Minister, a lawyer with very close links to the country’s first Prime Minister Apollo Milton Obote, to wit that he procured a bribe of US$50.000 during the procurement process that led to the establishment of the Uganda Television in 1963. I won’t mention his name because he is now deceased, but suffice it to say that his was the first major corruption/bribery case made against a senior government official, and as history is bound to repeat itself, the allegation against Kutesa of ‘selling UN chairs’ as claimed by Gerald Karuhanga, was made on the floor of Parliament, giving the protagonists immunity from retributive action through the legally-mandated means, the Courts of Law. Anyhow, after that corruption allegation against the Minister and close relative of Obote, nothing of much import came up, most likely because of the political differences that emerged and obtained at the time between President Fredrick Mutesa and Prime Minister Obote, which entailed corruption and bribery becoming a tool of survival for the political elite from the two feuding parties. Indeed, the development meant that Obote had to use all tools (government resources) at his disposal, including inducements to other politicians coming from outside Buganda, to ensure that Mutesa was kept in check, a cunning ‘divide and rule’ approach that was backed by money, power and women. Another reason corruption in Uganda was not seriously addressed as a societal vice was the nascent media, mostly controlled by government, which allowed politicians and government-aligned entrepreneurs leeway to hijack the dissemination of information to the general public, in the process denying Ugandans the opportunity to appreciate the dangers the State-inspired corruption visited upon the country, and in turn speak out against the vice. However, that said, after the fall of the Obote I regime in the January 25th 1971 coup by Iddi Amin till the fall of that regime on April 11 1979, it was considered a taboo for anyone, let alone a Minister, to indulge in corruption or bribery, for the consequences were known and dire. 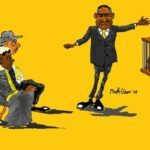 But be that as it may, I think the Amin government, caught up in a cobweb of human rights abuses, tried to use corruption allegations against its opposers, the most remarkable one I remember being that of Mzee Henry Kyemba, who it is said, Amin accused of ‘embezzling’ US$200,000 that was meant to buy drugs. This was after Mzee Kyemba, then the Minister of Health, had fled the country. I have interviewed Mzee Kyemba but now regret not having asked him about that allegation that I and many Ugandans who have managed to follow his illustrious political career spanning about 50 years think was propaganda aimed at destroying his impeccable credentials as a public figure. However, as I grew older and more knowledgeable about how governments work, I got to learn that Ministers don’t just go around carrying monies to procure government stores. This helped me appreciate the allegations against Mzee Kyemba but perhaps Kutesa is not as ‘lucky’ as the old man from Busoga. So, in the eyes of many Ugandans Kutesa, aka ‘Mr. Fix it’ as he is called in Uganda’s elite circles, may not be as ‘clean’ as Mzee Kyemba; indeed many think his knack for getting money are not consistent with the means he uses to get it. This situation is not helped by the upheavals that have dogged his political career in the last 16 years since he became Minister of State for Investments between 2001 and 2005. For instance, in 2013 Kutesa was almost censured after claims emerged that he had procured a bribe from Irish firm Tullow Oil, a company that was prospecting for oil in Uganda. 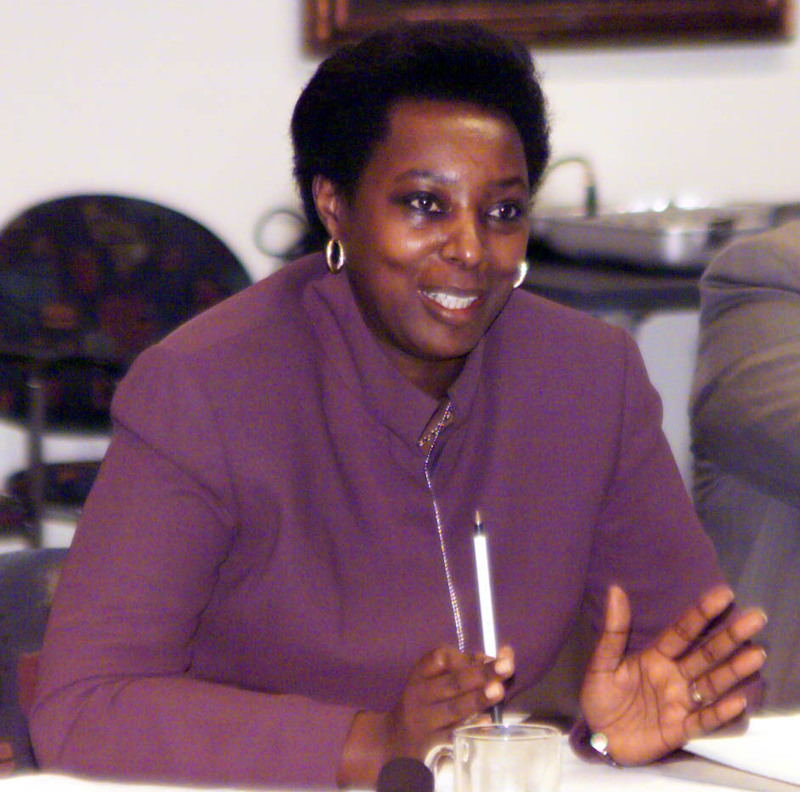 Earlier, in 1998 Kutesa had been censored by the Sixth Parliament for influence-peddling and illegally benefitting from the sale of Uganda Airlines, only for him to bounce back even stronger, this time as foreign minister in 2005, a position he has held since then to date when news of the US criminal complaint against him surfaced, the same complaint filed in the New York magisterial area also linking him and his wife Edith to among other miscreant acts, an attempt to influence the sale of a local bank believed to be Crane Bank, to the Chinese. Like the multi-headed Hydra, corruption manifests itself in various forms, reflecting the insatiable greed of those who hold the reigns of stat. That said, and the current allegations against Kutesa notwithstanding, the corruption that has dogged Uganda for a long time now, and which was seemingly absent during Iddi Amin’s 8-year regime, was resuscitated by the Ugandan exiles who sought to better their lives after the 1979 ‘liberation war’ at the expense of other Ugandans who stayed back and braved Amin’s excesses. 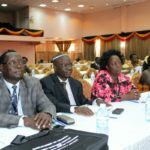 Among this group of ‘liberators’ are many politicos who served in the immediate post-liberation government of Yusuf Lule and the subsequent governments of Godfrey Binaisa and Tito Okello, with a few currently still serving in the current government under Yoweri Museveni. At the time, the now former exilees created the ‘Ministry of Rehabilitation’ led by a youthful man from Bugisu called Patrick Masette Kuuya and the ‘Ministry of Supplies’ headed by Scotland-trained doctor, Moses Tako Apiliga, from West Nile, and it is through their ministries that some of the formerly exiled Ugandans allegedly helped themselves to a number of ‘goodies’ including huge sums of dollars to ostensibly help them ‘resettle in Uganda’ after the war. In 1982 finance minister Apollo Milton Obote and his deputy Henry Milton Makmot, at the prodding of the International Monetary Fund (IMF) came up with a ‘clever idea’ on foreign exchange, opening Window 1 and Window 2 for official government and ordinary business transactions, at the time selling for Shs14 and Shs60 to the dollar, respectively. However, the intended beneficiaries including senior government officials thought otherwise and, unfortunately for Obote, Makmot and the IMF, almost all the dollars sold by the Bank of Uganda to the entitled beneficiaries ended up on the black market then commonly known as ‘Kibanda’, with the ‘Kibanda Boys’ operating along Luwum Street at their ‘headquarters’ found in a shop belonging to businessman Edward Mugalu. 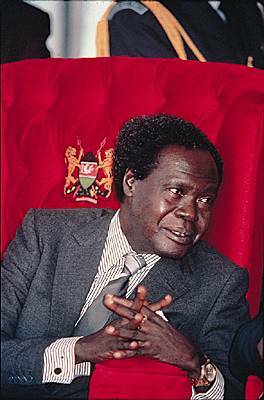 Of import to note is that most intended beneficiaries were cronies of the then Uganda Peoples Congress (UPC) government, and after the dismal failure of the two ‘Windows’ experiment, Obote and Makmot then came up with the idea of ‘One Big Door’, where there was no preferential sale of foreign exchange, a development that partly led to the stabilization of the dollar at the corresponding rate of Shs60, and this continued until 1986 when the NRM came to power. Then there is the story of Major General David Oyite Ojok, the first post-war Army Chief of Staff of the Uganda National Liberation Army (UNLA), who also doubled as the Chairman of the Coffee Marketing Board (CMB), Uganda’s milk cow at the time. 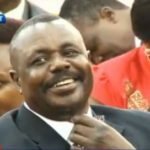 Reports abound about how Maj. Gen. Oyite Ojok, considered the ‘most powerful man’ in Uganda then made a fortune from the country’s top foreign exchange earner, with allegations that for every kilogramme of coffee exported he would get a commission, which would be deposited on his foreign accounts. Gen. Oyite Ojok died on December 2, 1983, at Kasozi in Luweero, as he led the pursuit against the then National Resistance Army guerillas led by Museveni, the current President of Uganda. Well, after the death of Maj. Gen Oyite Ojok in 1983 and the subsequent collapse of the Obote II regime on July 27 1985, there emerged the pseudo military-political junta of Generals Tito Okello and Bazilio Olara Okello. Other military officers in the junta included among others, then Brigadier Sam Nanyumba and Colonel Zed Maruru. Then, on the civilian front, those appointed included among others foreign minister Olara Otunnu, formerly Uganda’s Permanent Representative at the UN under the Obote II regime; Paul Kawanga Semwogerere, the internal affairs minister and Sam Kahamba Kutesa, who became Minister of Justice and Attorney General. During the six-month period under the Okello junta nothing much came about in respect to corruption. However, unknown to many in Uganda the NRA guerillas, through the 10-point programme, had among other itchy subjects prevalent in the Ugandan society then, developed strong anti-corruption regulations, a development that helped further endear them to the masses when they assumed power in January 1986. However, this anti-corruption drive was to receive a jolt around 1987 when the Minister of Agriculture and Animal Industry Dr. Shem Masaba said that ‘all minister are corrupt’. According to Dr. Masaba, the Ministers were all living beyond their earnings but this did not augur well with his colleagues, who ensured he was shunted out of Cabinet. As a result, Dr. Masaba’s political career was brought to an unceremonious end, but his words on corruption opened the eyes of the masses, who questioned the rationale of his dismissal even when what he was talking about was a topic under public debate in many fora. Needless to say, following Dr. Masaba’s ouster, over time things seemed to go awry as some time later Shs68 million ostensibly to buy iron sheets for orphans in Luwero ‘disappeared’ from the office of then Prime Minister Dr. Samson Babi Mululu Kisekka. Asked about the disappearance’ of the money Dr. Kisekka, then aged about 79 years, replied that he was also an orphan! As leader of government business, Dr. Kisekka’s colleagues and juniors seemed like they needed no further prodding. Anyhow, without delving into the specifics, since then almost all NRM top ideologues have been cited in corruption/bribery acts among them former Vice Presidents SBM Kisekka, Dr. Speciosa Wandira Kazibwe and Prof. Gilbert Balibasekka Bukenya; Prime Ministers SBM Kisekka, Eriya Kategaya and Amama Mbabazi, and Ministers Sam Kahamba Kutesa, Jim Muhwezi Katugugu, Kahinda Otafiire, Dr. Alex Kamugisha, Capt. Mike Mukula, Gen. Salim Saleh and most recently Herbert Kabafunzaki.